How to send a group message on android phone from Sony? Can we send group messages using my Xperia android phone? What are the steps to be followed for doing this? Re: How to send a group message on android phone from Sony? 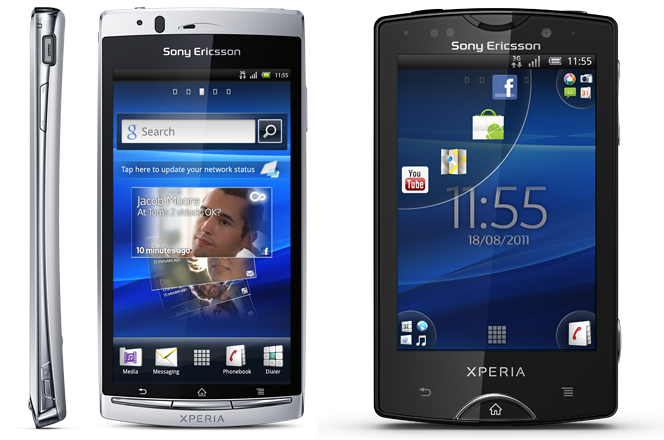 The Sony Xperia phone does provide you the option to create groups in contacts. So, you will be able to send message to that group easily. To send a message to the group, you need to first tap on contacts from the home screen. Then you need to tap on the Groups icon. Then you need to tap the group to which you want to send the message. You now can confirm the contacts to which the message needs to be sent. Then you need to tap on write message and can compose your message. To finish, you just need to tap on send. * Choose the contacts & confirm them. * Tap on compose message. :: First of all go to the Home screen page and then select the application screen section. :: After that you have to go the ""message"" apps. :: Then you have to create the ""group contact"" on your device ,if not create the group. :: Once you create the group then go to the message and add the group and send the message. :: Or go to the contact and select the ""Groups and add a message"" on it then send to it . :: Then you have to create the ""group contact "" on your device ,if not create the group. :: Once you create the group then go to the message and ""add the group"" and send the message. to send a message to a group of people..
Press write message >> Compose message (type the contents) >> send message..
this will deliver the mesage to all the persons available in the group..
follow the steps to send msg to group. 5. Choose the contacts to which you want too send msg. 6. Click on write message. Yes,you can send group message,first of all open the Message icon from home screen of your device.Then once open tap on Compose message.After that write your message then above will see 3 options like Recent,Contacts & Groups.Since you wanted to send group message then tap on Groups,a pop up will appear.Under that select Phone,now tap on desired Group.Once done then a pop up appear & will see all the contacts which you have added under that Group.Now near by the option will see check box tap on those contacts to whom you want to send message.Once done tap on ADD then all the contacts of that Group will appear & then tap on Send.Once done message will be sent to that Group contacts. The following is the procedure for solving the problem of sending a group message on android phone from Sony. Then tap on to the contacts option. Now you need to press the groups option. There the group is to be selected which you want according to your chocie. After that the contacts are to be selected to whom you want to send the messages which you want according to your chocie. Then the write message option is to be selected. Now press the compose message option. Press the send option in order to send a group message. - Select the contacts option. - Tap on groups icon. - Choose & select the group to send the message. - Select & confirm the contact numbers. - Select write message option. Move to the Homescreen First. Now click on the contacts option here. At this step, you must have to tap on groups. Now select any specific group. Select the desired contacts and confirm it. Tap on the write message option, and write down your message. At last, hit on send button. - Press the contacts option. - Press a group to send the message. - Tap & confirm the contact numbers. - Press write message option. - Type your desired message. I have the Sony Xperia T and I run a theatre group so I regularly used to send messages via my groups created on my old HTC. Sadly this phone doesn't seem to cope with it. I have now had 2 of the same model and both seem to quite after sending the text to only a number of the contacts in the group. It doesn't matter whether this is a one word message or mutliple texts together and my groups are no more than 25 at a time (it manually lets you add in 50 names then still won't send - odd when 50 seems to be its limit). I am having such problems that even though my cooling off period has ended o2 are allowing me to swap my phone because multiple message sending is the main thing I use. Really not impressed, which is a shame because the phone apart from this is great! 5th==open the contacts & confirm them. 6th==click the write message from the menu. Goto contact-> select Group->add the Contact into that group->And Select the compose message-> type your message and sent..
Is it possible to enter a smiley in the text message on the Xperia android phone from Sony? How to send a text message using the search button in android phone?